I have a winner!!! Is it you?!? 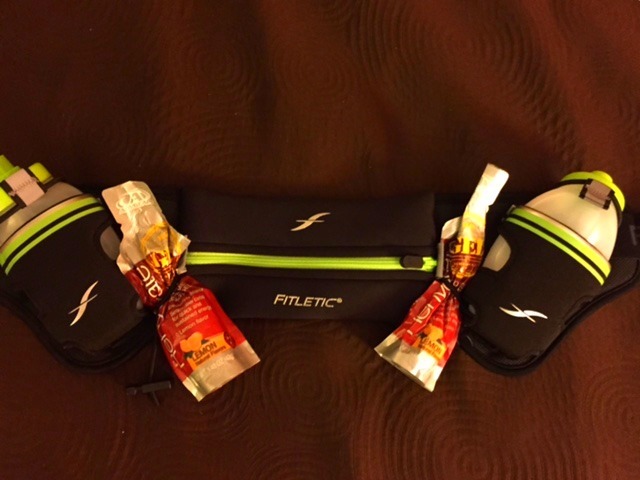 Today I am giving away one Fitletic Hydration Belt. The random number generator selected #88. 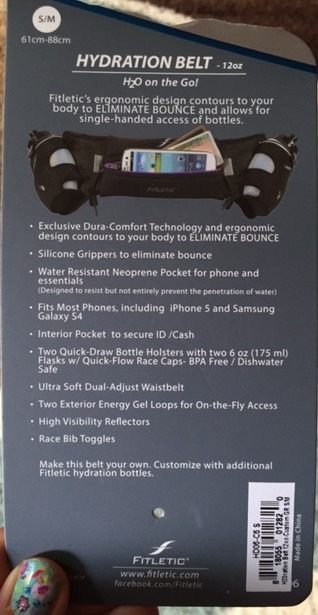 Gila, please contact me ASAP at amanda@tootallfritz.com so that we can get you set up with your new hydration belt. I’m sure you have lots of miles to run this summer and we want you to be hydrated and ready to rock any distance you choose to conquer! 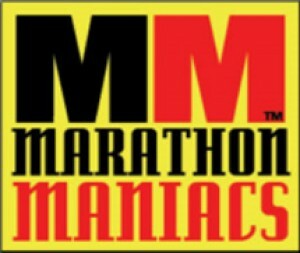 As most of you know by now, I’m on a quest to run a marathon in every state. And I’m on a budget. As a result, I’ve pretty much given up running races that are less than the 26.2 distance. I’ve also pretty much given up running marathons in state’s that I’ve already “checked off” unless the race is free. I pick races based on my (and Julie’s) calendar. I don’t stress about the course. Or the weather. Or the details. It’s an adventure. The bigger, the better. The more the merrier. Join me!! We picked our Minnesota race because Julie said she wanted to knock off MN this year. 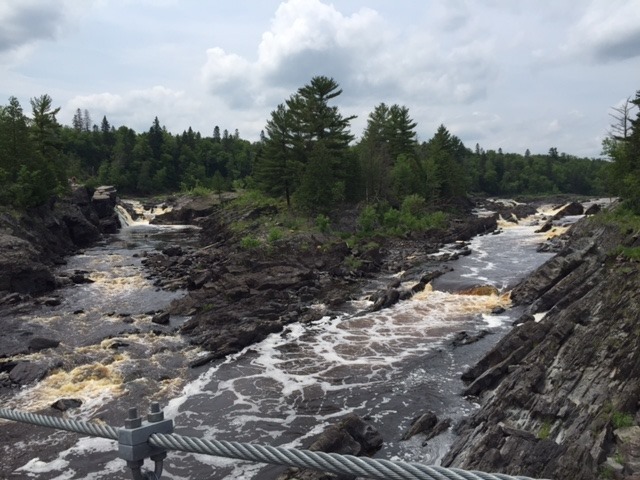 I can’t say this was my first choice for MN because, well, we are road runners! But alas, it fit into our weekend warrior calendar and it was super affordable at a mere $35 entry fee. 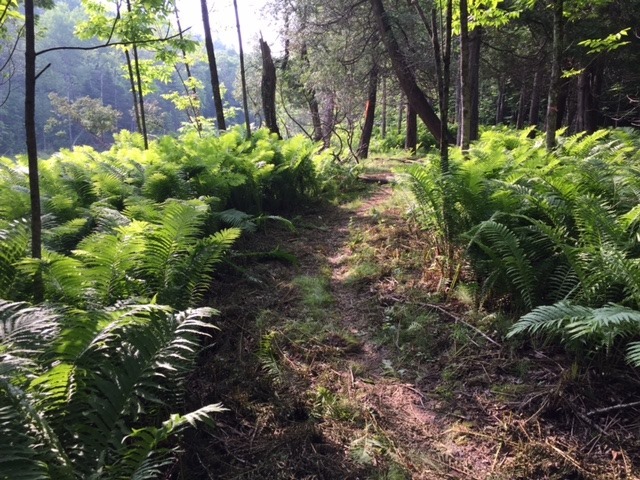 You absolutely can not beat trail races for the price, the hospitality, the fun and the level of commitment that they give to each and every runner. 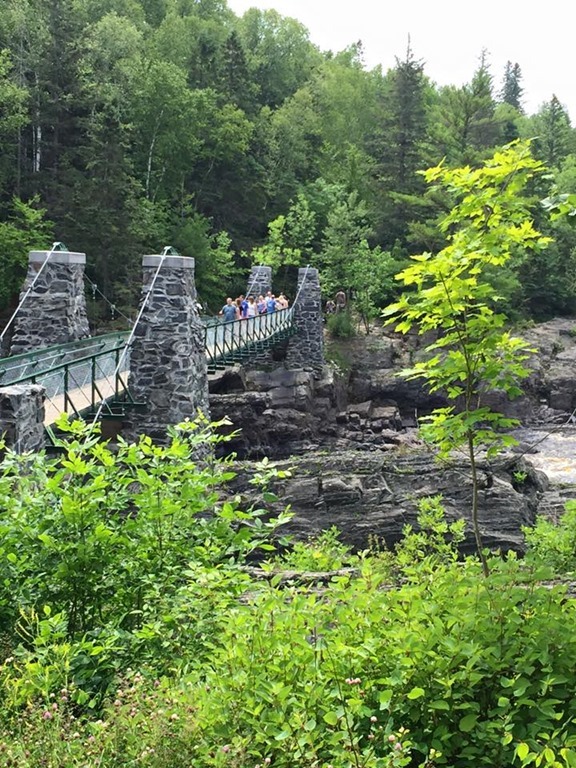 The Eugene Curnow Trail Marathon wins the TTF Award for the “Best Bang for the Buck” in 2015. I don’t even care that it’s only July. They already won. $35 entry fee = $1.34 per mile. Our race took forever 7 hours & 37 minutes = $4.60 per hour. The aid stations were stocked with coke, ginger ale, sprite, powerade (BLUE!!!! ), ice, ice water, pretzels, M&Ms, candy, fig newtons, sandwich cookies, frosted oatmeal cookies, gingersnap cookies, potato chips, watermelon, bananas, salt, salt capsules, and a ton of stuff that I can’t remember. I probably ate/drank more than the $35 entry fee. There was also an army of volunteers who encouraged us, filled our water bottles, wiped our tears, recorded our numbers, pointed us in the right direction and handed us paper towels & wet wipes in case we needed to go to the bathroom clean up. 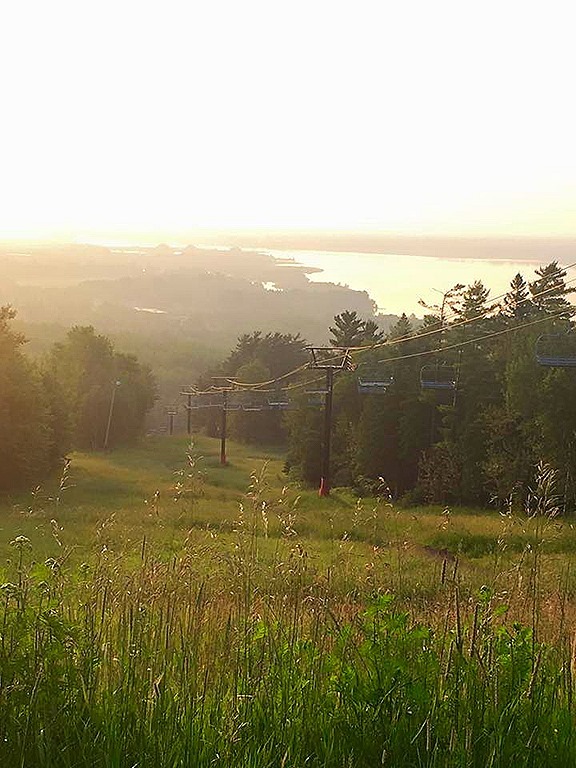 The race started promptly at 6am at the Lake Superior Zoo. There was no big start banner. No chip timing. No pomp. No circumstance. But there were people making announcements to get us in the right spot and there were bathrooms. Runners came to run and everything else is left on the trail. 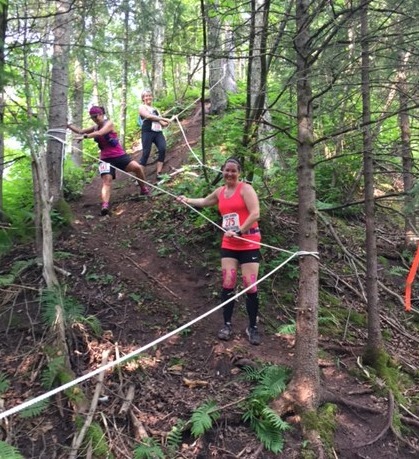 The first 2.5-3 miles of the race climbed the ski trails of Spirit Mountain. 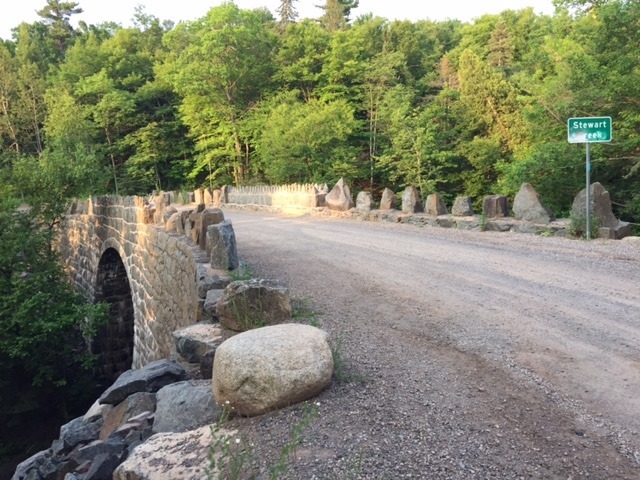 Once we started hitting nice roads and fancy bridges we knew we were close to the top! 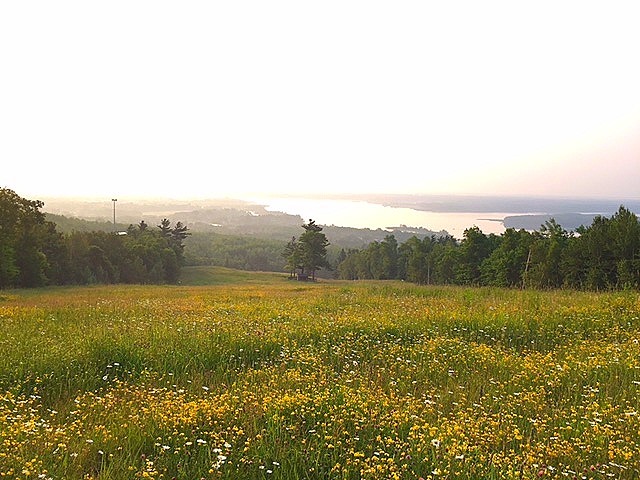 Then we started seeing the ski lifts and we came out of the trees for breathtaking views of Lake Superior in the early morning fog. Absolutely amazing. 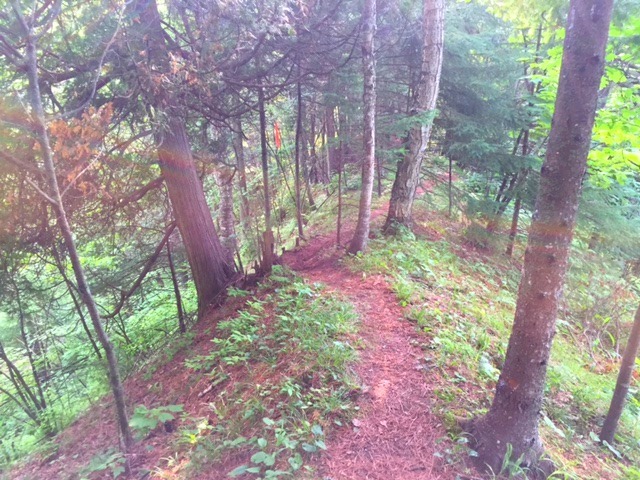 The trail was very well marked with orange ribbons. I never once questioned our direction. 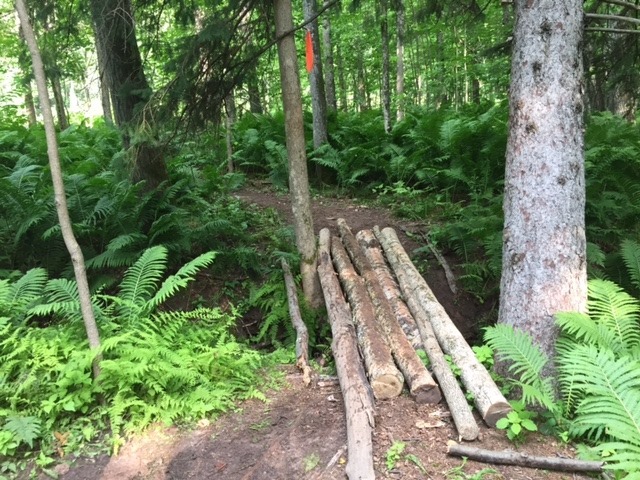 Organizers spent a lot of time clearing trail for us rather than just using ordinary trails already cut in the parks through which we ran. 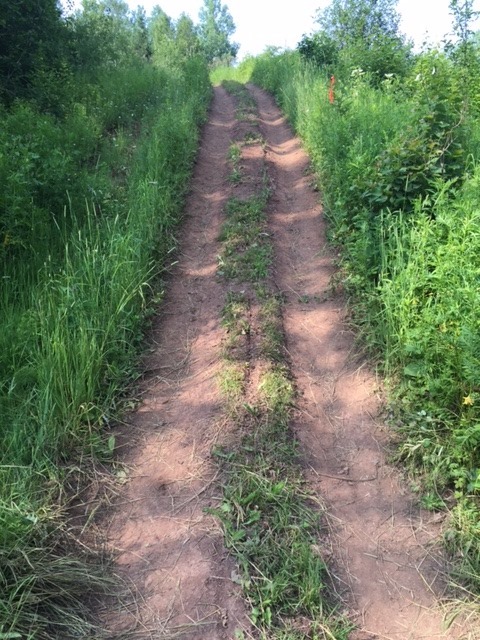 There was a lot of planning to get us from Duluth to the finish in Carlton, MN on this point to point course. 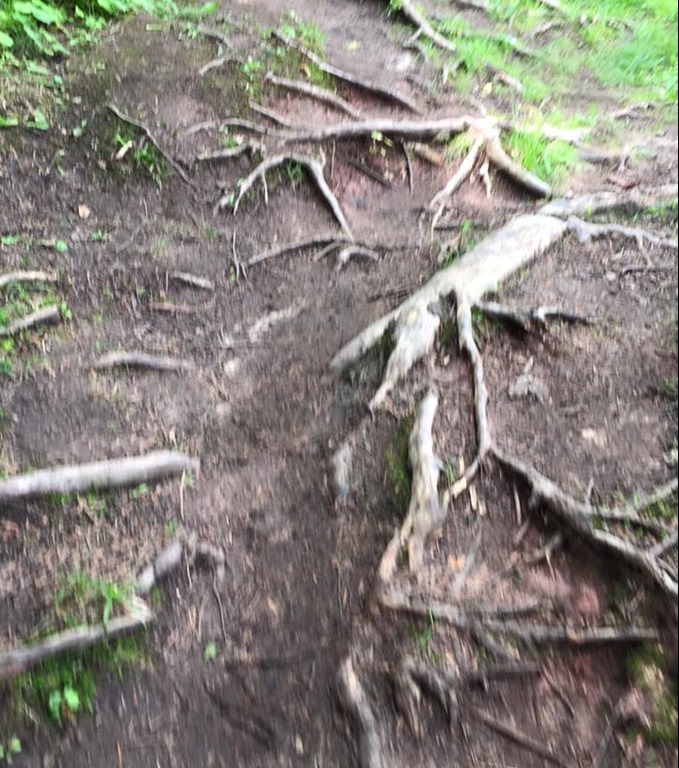 It was a creative path. A difficult one. 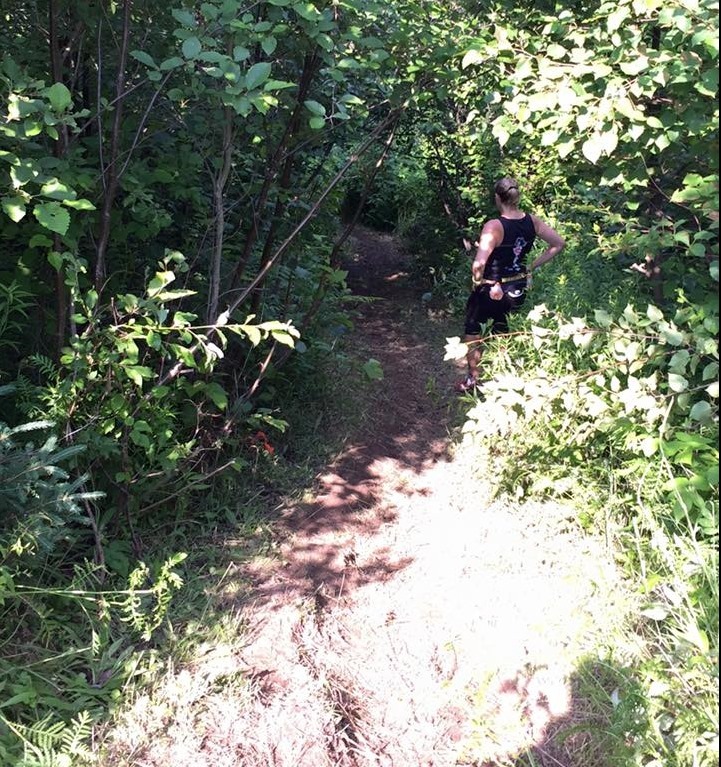 Not the most technical of all that I’ve ran but extremely hard and probably the most fun so far (and that’s saying a lot cuz we ran the Dances with Dirt Devil’s Lake WI Extreme Trail Marathon last July). 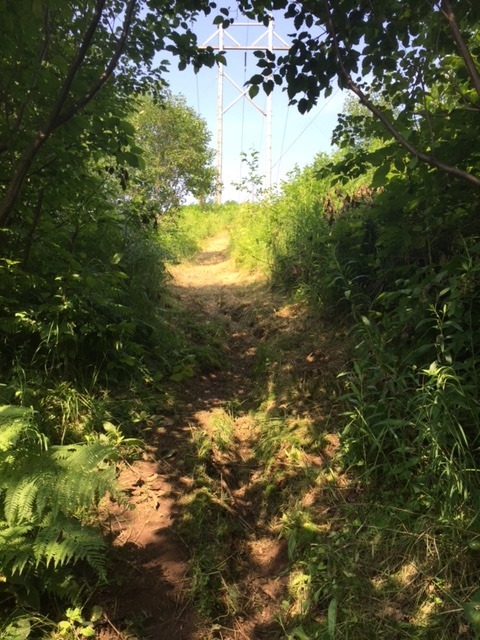 Take a peak at the various terrain from steep trails along ridges, to roped off trails to help us navigate the terrain & not fall …..
To hills, both up and down as far as the eyes could see. 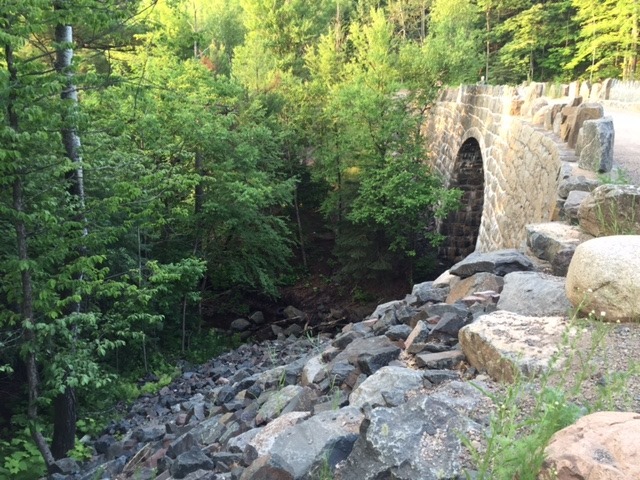 Water crossings. 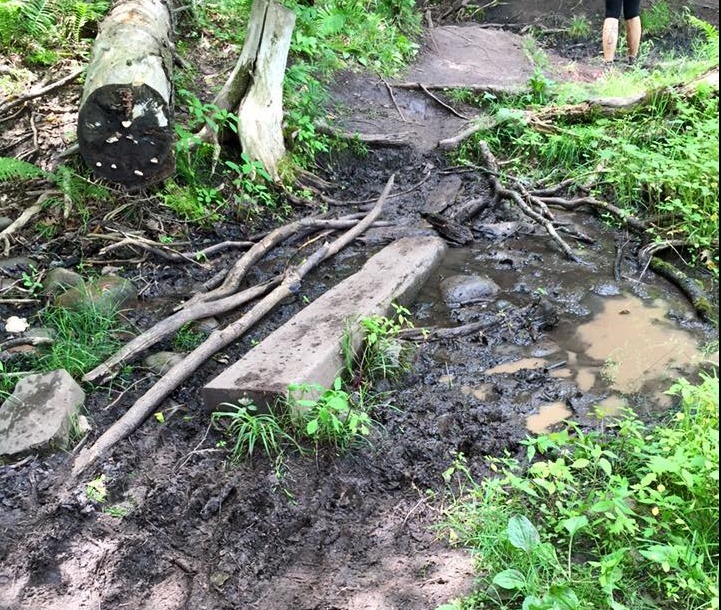 Mud. Roots. Rocks. 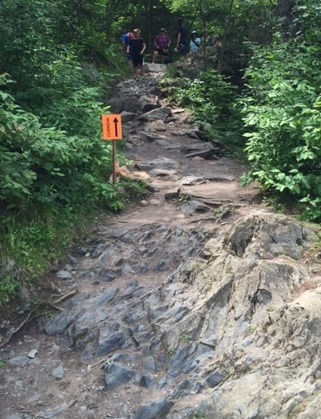 Every step of this was amazing. And hard. Very hard. But we smiled and laughed almost the entire 7.5+ hours. 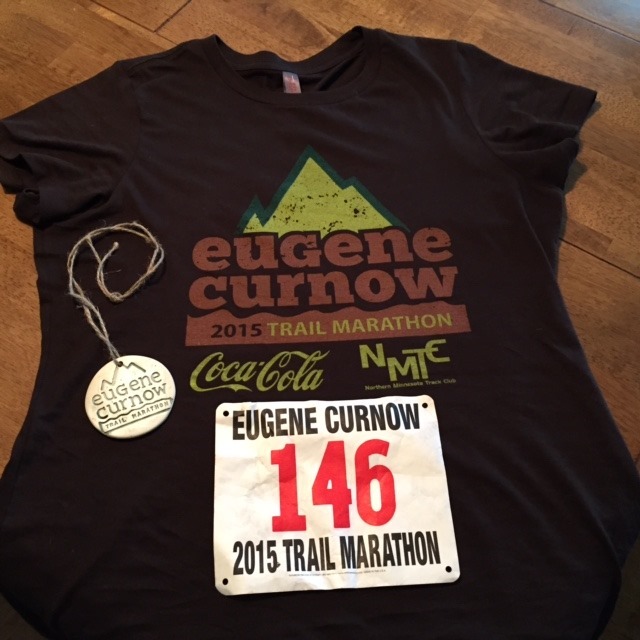 If you are a trail runner, the Eugene Curnow Trail Marathon is a must. 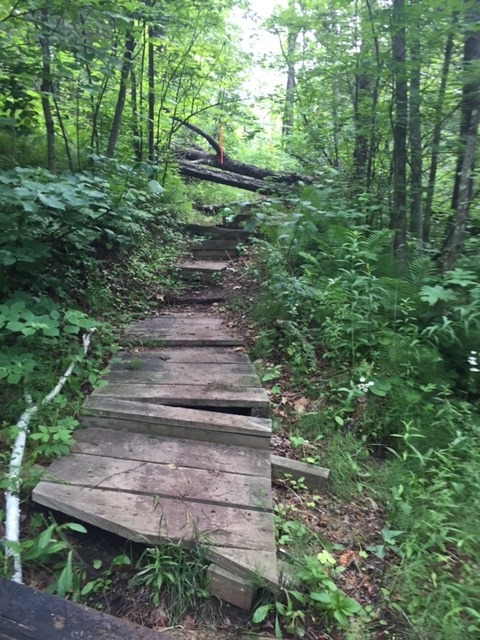 If you are an ultra runner, then this race is just a warm up for the MN Voyager 50 Mile Trail Ultramarathon at the end of July. Like what you see in these pics? Try the Voyager and you’ll get to run it twice. As you know from the above post, we finished. And were happy to see the car and some clean clothes at the end of the race. To our surprise, we also received a very unique handmade finishers medallion and a gender specific soft, tee. Nice! I’m forever grateful for the good friends I’ve made over the years while “on the run”. 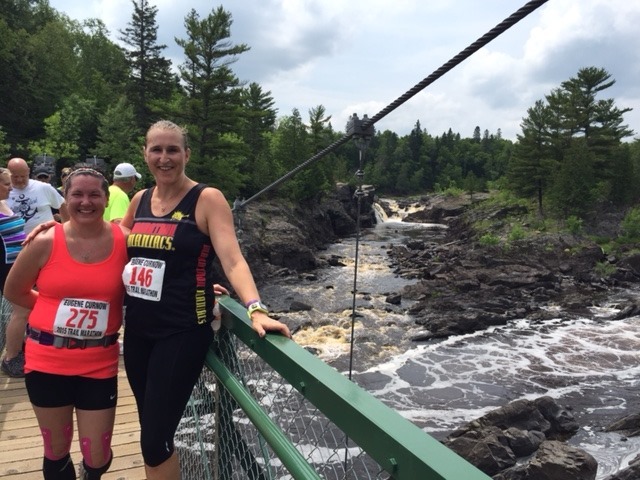 A special thanks to Julie for running some of these crazy races with me! 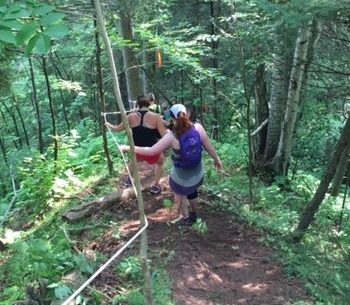 I can’t wait til we tromp off into the woods for the next adventure! 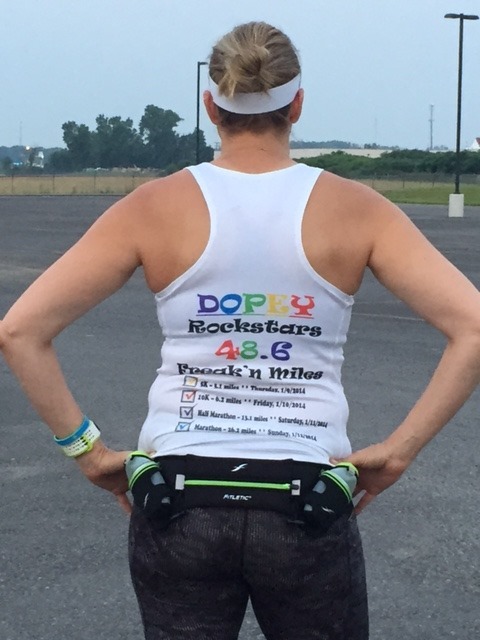 There is a new name in the fitness industry in regards to hydration belts. According to the buzz on the trail, this is the current “go to” company for hydration needs on the run. Those of us who have been using hydration belts for years want the low down on Fitletic. If you are like me, then you’ve previously spent hard earned $$ on poor fitting hydration belts that slip, slide & drench you with water. Fitletic sent me a 12 oz belt to review. That included two 6oz water bottles on an adjustable strap with a large pouch that fits an iPhone 6 (the 6+ would probably NOT fit into this pouch). Inside the pouch was an interior slit type pocket for credit cards, money and an ID. The belt also included toggles for a race bib & 2 slots for energy gels. The gel slots were definitely designed for the most popular gel, GU brand. But I was able to fold the top of my AdvoCare Rehydrate Gel enough to get it into the slot tightly enough to stay put. Aby and I ran with this belt on two different long runs. A 9 miler in the POURING rain. And a 10 miler last weekend. I wanted both of us to use the belt because we have different body types. I have a hydration belt that I have been using for YEARS but I can’t seem to find one that fits her curvier frame. Every belt that we buy for her slides all around and she ditches it less than a mile into the run. The belt I wear, that also fits her, is no longer available cuz I use my stuff until it dies on the trail. We both had success with the Fitletic belt and liked the way that it rode and more importantly stayed put and didn’t move around. I also let a friend try it out while we were running because she too has issues with poor fitting hydration belts. We were 3 for 3 on this belt with big smiles and all thumbs up. Here is a back view of myself with the belt. I normally wear my bottles on the back. That’s what I’m used to doing. 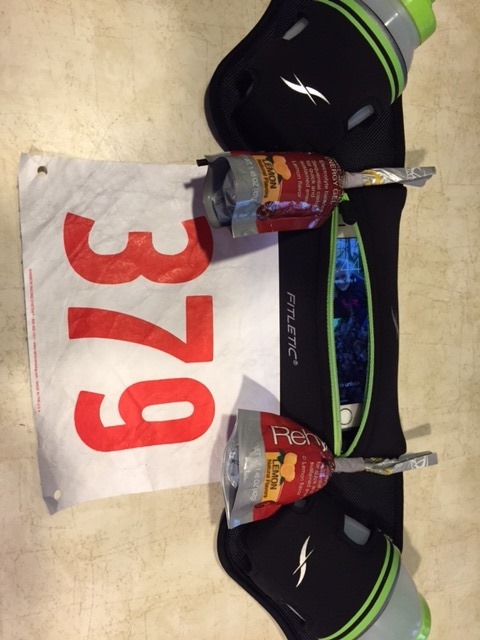 However, if you wanted instant access to the pouch, or you’re racing and need the bib toggles, wear it facing front. There are little grippers on the inside of the belt that I haven’t seen on other hydration belts. They remind me of the grippers on the inside of bike & TRI shorts. These little boogers really help hold the belt in place so it doesn’t move around. Great idea! The Fitletic hydration belts come in a variety of color accents, all with reflective piping. There are two size options: 12 oz (2 – 6 oz bottles) or 16 oz (2 – 8 oz bottles). If you are running long for marathon training or if you are a trail runner who can’t rely on a spot to refill water, then I’d recommend the 16oz belt. The 16oz option is more compatible with traditional hydration belts. Personally, if I go much bigger than 8 oz bottles on a belt, my experience has been that they really start to weigh me down. For the purpose of this giveaway, we are giving away one 12 oz Hydration Belt, a $39.95 value. The giveaway starts NOW and runs til WED, July 15th at 11am EST. That’s 10am for those of you in the CHI. In order to be eligible for the giveaway you MUST make a comment below. Tell us about your favorite way to stay hydrated on the run! Do you already use a hydration belt that you love? Do you drop water along the way? Do prefer a handheld or even a hydration pack? For the most up to date info on future giveaways, follow TooTooFritz on Facebook, Twitter or Instagram.